Connor Kucera is playing well again. The senior defenseman is providing Bowling Green with solid defense and a physical presence. His play is one reason the Falcons are 18-7-5 overall and 14-5-3 in the Western Collegiate Hockey Association. 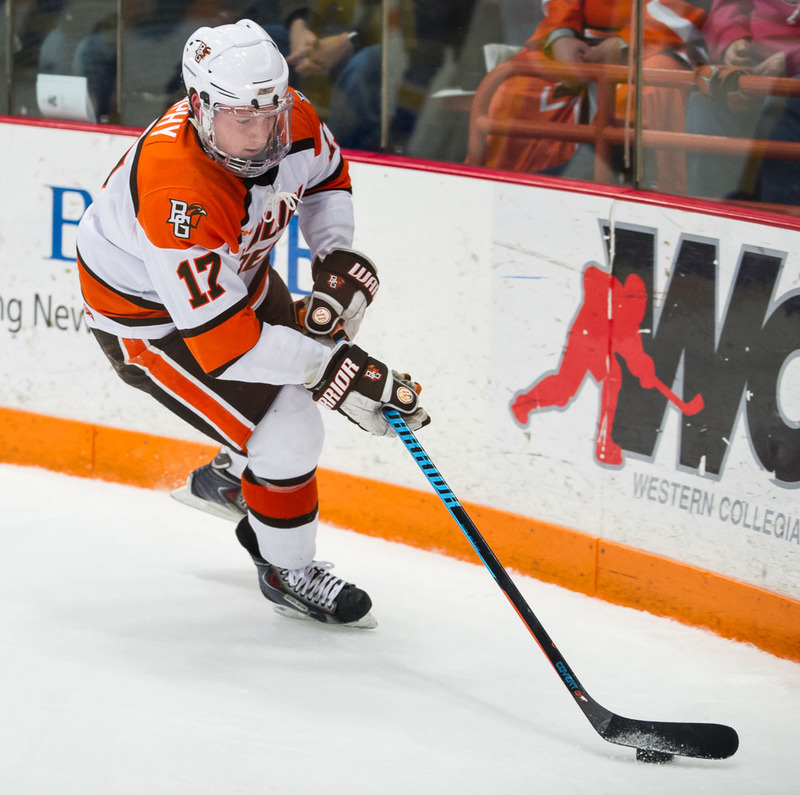 BG is ranked eighth nationally entering this weekend’s WCHA series with Northern Michigan. Faceoff Friday and Saturday nights is 7:07. The 6-foot, 208-pound Kucera has a goal and five assists in 21 games and he’s been BG’s most consistent physical presence defensively. He’s taken just five penalties (all minors) and has an on-ice rating of plus-4. Kucera is a regular on the penalty-killing unit that ranks first nationally at 92.7 percent. Kucera was a question mark entering the season. He was one of BG’s best blueliners as a freshman when it advanced to the Central Collegiate Hockey Association semifinals. He often was matched against the other team’s best players. But he struggled as a sophomore and junior, and wasn’t guaranteed a spot in the lineup this season. “I’m making a lot better decisions, and I’m playing a lot more relaxed, not worrying, knowing I’m well prepared,” Kucera said. “I’m focusing on every single little play which helps make for a better outcome. Kucera came to training camp this season in excellent shape after working out on his own in BG over the summer. He had a summer internship in the procurement office with Husky Energy in Lima. He left for Lima each morning around 5:30 and returned during the late afternoon. When he returned, he immediately started lifting weights and running. Kucera missed nine straight games in October and November when he was sidelined by a shoulder injury, but has played every game since. Kucera has a 3.5 grade-point average with a double major in supply chain management and finance. 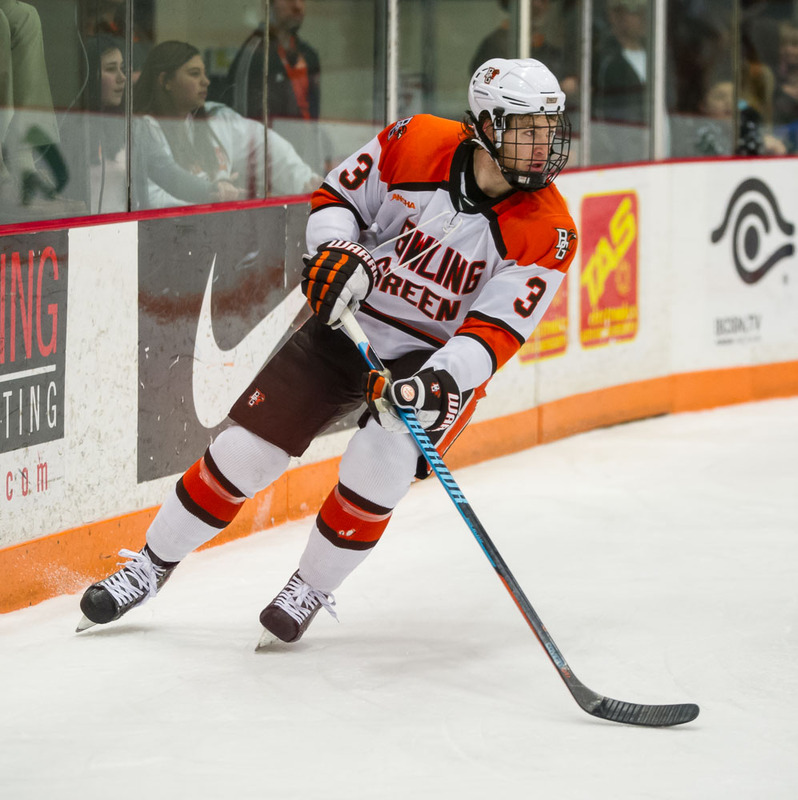 GOOD STRETCH: BG’s Ben Murphy has eight goals and five assists in the last 16 games, including a goal in three of the last four games. Murphy, who has good offensive skills, has 11 goals and nine assists in 30 games. His defense also has improved with an on-ice rating of plus-4. “He’s invested in his game,” Bergeron said. “He watches video. He spends time on the ice before and after practice working on his craft. NMU: The Wildcats have lost four straight games, including 1-0 and 5-1 losses at home to Bemidji State last weekend. NMU is 11-13-4 overall and 8-10-4 in the league. The Wildcats are tied with Bemidji and Ferris State for the final home-ice berth in the WCHA quarterfinals. NMU is 5-5-1 in WCHA road games, including a 5-4 win at Michigan Tech Jan. 10. “They’ve always had a good road game. They’ve always played as hard on the road,” Bergeron said. PLAYERS: NMU has played its last five-plus games without standout goalie Mathias Dahlstrom because of an undisclosed injury. The sophomore has a 2.18 goals-against average and a .924 save percentage in 21 games. His status for the weekend hasn’t been announced. Junior Michael Doan has taken over in goal. He has a 1-6-2 record in 11 games, posting a 3.06 goals-against and a .904 save percentage. Sophomore Dominik Shine and junior forward Darren Nowick both have 18 points on seven goals and 11 assists. Shine has missed the last six games. The top defenseman is sophomore Brock Maschmeyer, who has eight goals and seven assists. STATS: NMU is sixth in the league in scoring (2.30 goals per game), seventh in goals allowed (2.57 gpg), third in power-play conversions (18.2 percent, 20 of 110) and fourth in penalty-killing (86.1 percent, 106 of 122).